I moved house back in May, which in large part explains the lack of recent updates. 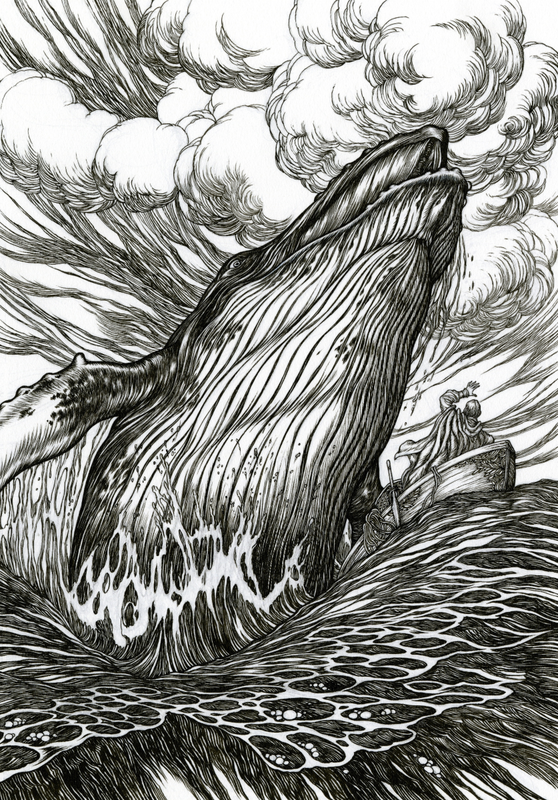 I have more space in which to work, to breathe, to move around, to reach for and find things. No more leaking roofs and subjecting my books, materials and things to water damage. No draughts, cold and mould. I won’t list them all, but the new home is, in short, so much better in scores of ways. 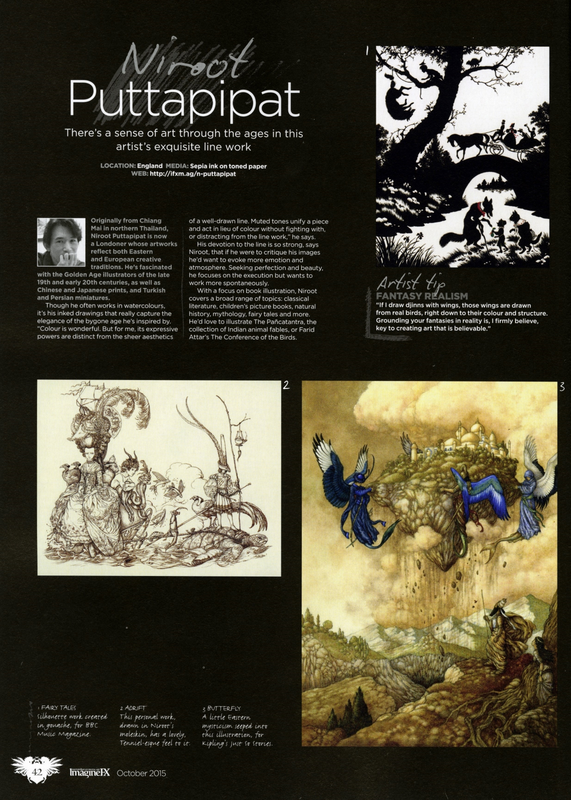 I had a small spot in the October 2015 issue of ImagineFX magazine in a feature about artists who work monochromatically. I must admit that I’m a little disappointed with the reproduction of the images. Because I work intricately at a small scale and the subjects within the images themselves are small, having them greatly reduced means that one can’t see very much at all. Oh, well. 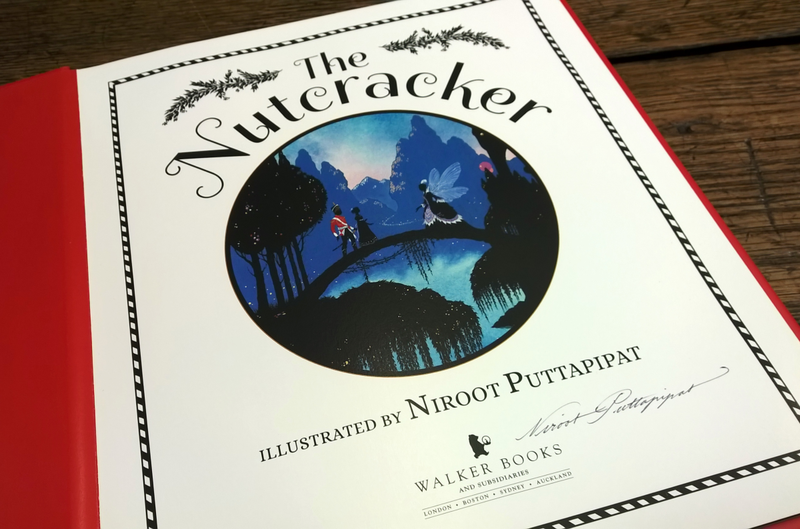 The Nutcracker, published by Walker Books, is now out! I was signing some 200-odd copies at the offices of Walker Books back in September. As I understand it, these copies are going to a number of independent booksellers in London. I will be sharing a few things from this book from now up to Christmas. 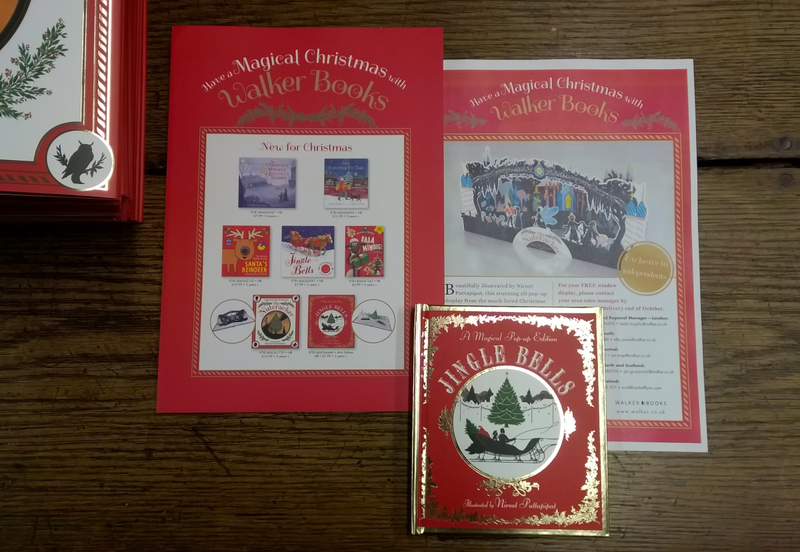 Also available now is a mini version of Jingle Bells, first published last year. 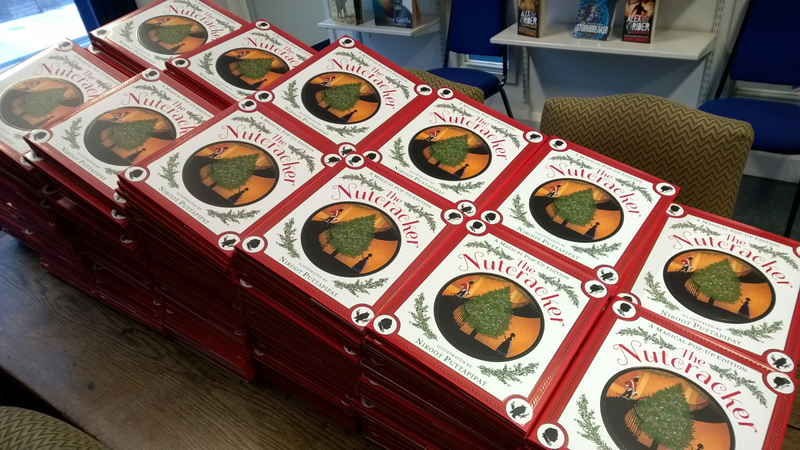 A follow-up to the happy reception of the mini edition of Night Before Christmas. 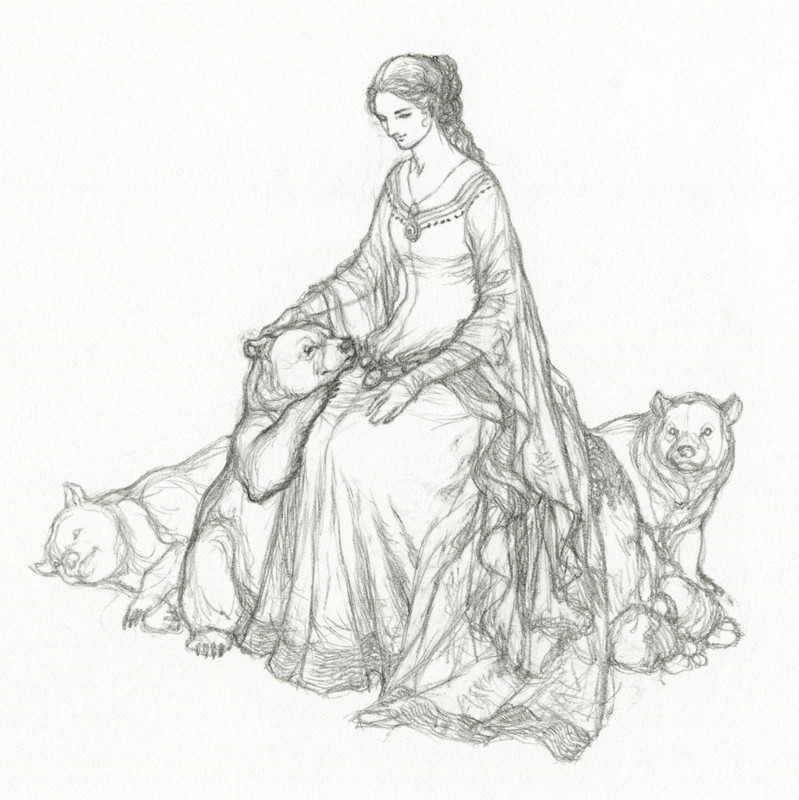 Finally, for now: I’ve recently finished work on a small collection of four Grimm tales retold by Joanna Davidson, to be published by Oxford University Press. 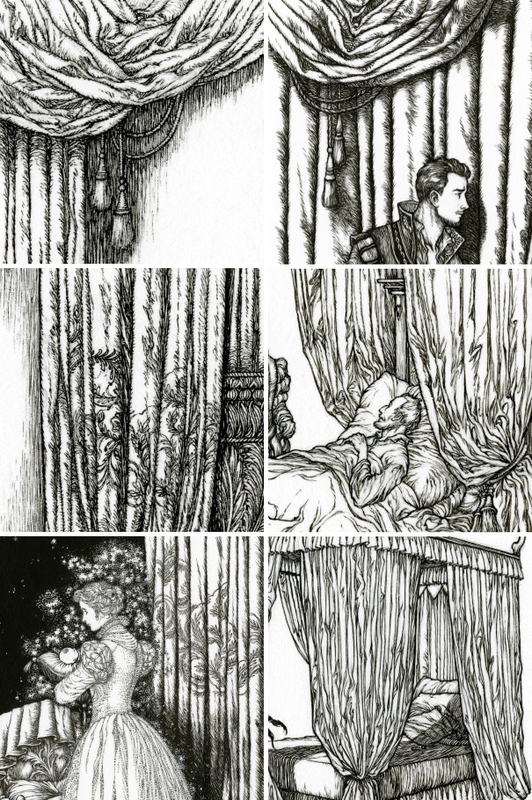 Strangely, I got to draw rather many curtains for this book. They were necessary elements at key moments in at least two of the tales, and for the rest, they simply had to be there by virtue of such things as bed and room furnishings. For me, they also make good compositional devices in interior scenes, much as trees do for outdoor ones. 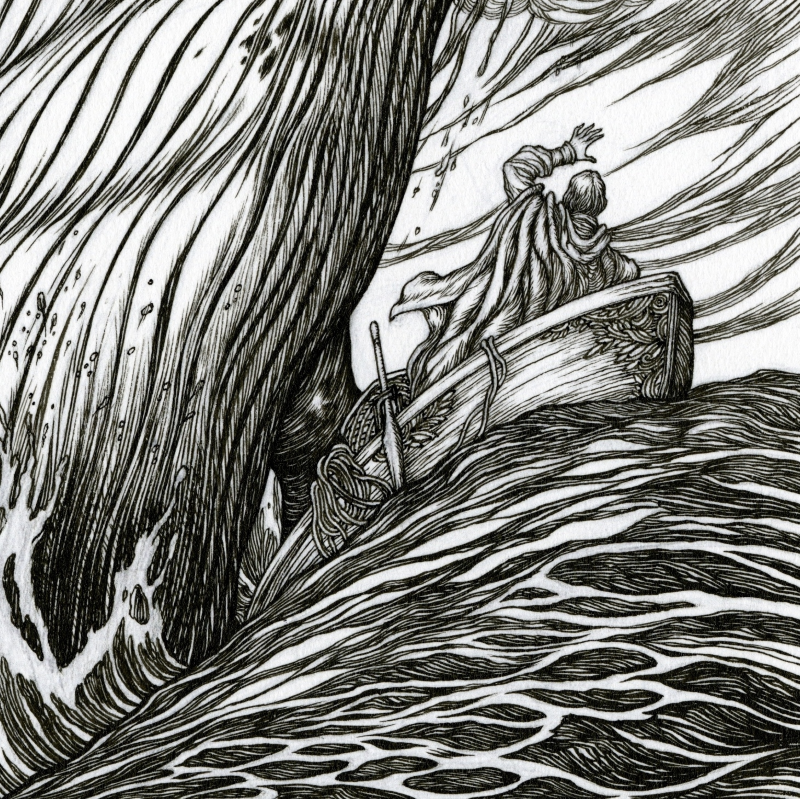 I didn’t get to draw many trees (disappointingly); but many curtains.